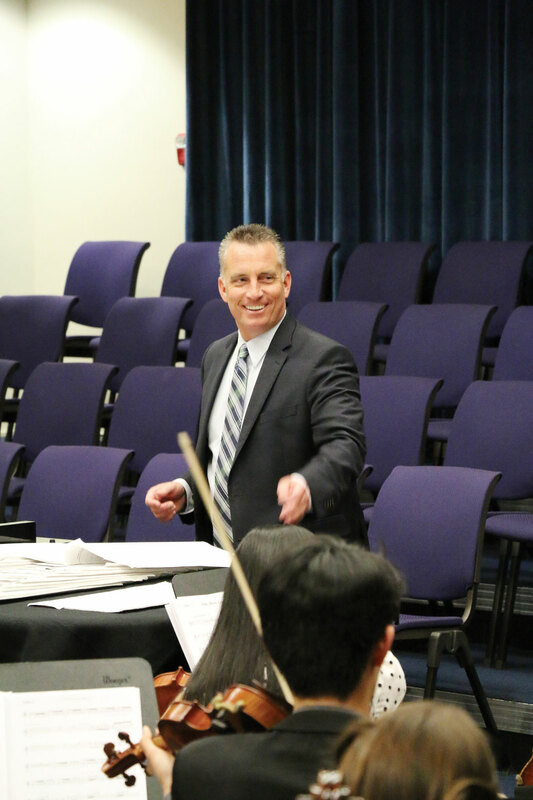 The room, crowded with students singing out tunes of praise during an afternoon practice, was led by the grinning director, Dr. Judd Bonner, conducting the choir during his last semester as dean of the Shelby and Ferne Collinsworth School of Music. Bonner took the position in 2012 after the retirement of his father, Dr. Gary Bonner, and after having served as associate dean since 2006. He is ending his three-and-a-half-year tenure as dean but he said he is remaining on the faculty of the School of Music with a currently undetermined teaching assignment. He has performed in more than 200 concerts with the University Choir and Orchestra, recorded four CDs and a live DVD, created CBU’s first Symphony Orchestra and introduced a new master’s degree in music composition. The change is effective June 30 as the school conducts a nationwide search for a new dean. In 2014, Bonner was honored as professor emeritus at Dalian University in China. He was then invited to be the guest conductor at Jiangsu Theater for the Chinese New Year. Annual High School Choral Festivals directed by Bonner and other CBU music faculty have seen more than 900 participants since 2013. His concerts with UCO have attracted more than 100,000 audience members worldwide. He also developed the 90-member Male Chorale in his time at CBU and has left many students speaking highly of his contribution to the School of Music. According to the School of Music’s website, the program holds its students to a “higher standard” — as does Bonner. He said his mission was to inspire his students to work for excellence and set examples for whatever path they choose to follow — to be remembered for promoting them to do God’s work and putting their faith into action. “I am grateful to God for blessing me with the opportunity to work with the hundreds of students who have jumped on board, caught the vision and fully embraced the spirit of the mission we were on, which has been to join together as one body and draw people into meaningful and inspiring worship, using a medium that has been on the decline in churches and schools over the last few decades,” Bonner said. Bonner said his primary goal has been ministry through music, and according to his students, that specific goal has helped reach multiple generations.